WHAT IS THE BEST FISH FINDER FOR 2019? The following is my Fish Finder Reviews for 2019. I’m just reviewing what I consider are the top two Fish Finders with GPS. Fish finders are one of those must-have gadgets especially if you’re entering a Fishing Tournament. Be honest now. When you’re out with a bunch of friends, don’t you want to be the one that catches the most fish? Heck, some people buy them just to show off their new toy to their friends. This Humminbird fishfinder has a pretty impressive widescreen and a bright LED backlit display (10.1 inch color TFT). The images are even crystal-clear for viewing in harsh sunlight. Along with that, it has the Humminbird legendary fish finding pedigree & Auto Chart Live. What I liked was its cable management that makes it possible for you to connect all your networking cables at once. Also, the Hummingbird Fish Locators have an integrated frame surrounded by an ultra slim bezel which minimizes the space you need. The transducer is included so you don’t have to purchase one separately. 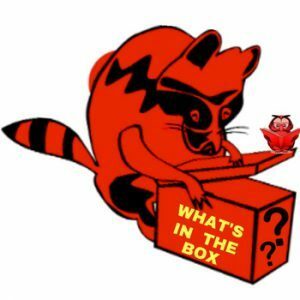 I’ll just list 3 of the things people keep mentioning they liked. To read more reviews, I’ll leave a link at the end of the negative reviews. Because Humminbird fish finders aren’t cheap, do check the reviews over to make sure you’re purchasing the one that will work best for you. I could only find a couple of negative reviews on the Humminbird Helix 10. It’s still something to take into consideration when purchasing a Fish Finder. 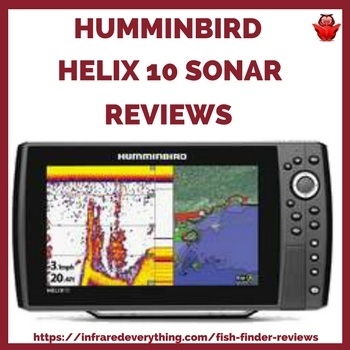 To read the actual reviews or to read more reviews on the Humminbird 409970-1 Helix 10 DI GPS Fishfinder click, Humminbird Reviews. Before you purchase the Humminbird 10, click on all three links below. You never know when one of the companies is having their Fish Finders on sale. 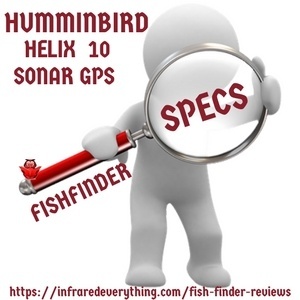 If the Humminbird 10 is out of your price range or you don’t need all the bells & whistles, Humminbird has numerous models of fish finders at different price ranges. At the time of this writing, Amazon had the cheapest price. 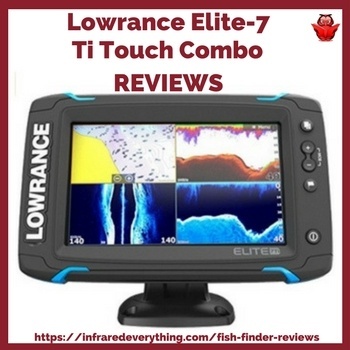 Read over the following features for the Lowrance Elite 7 Ti Touch Combo. Make sure you’re getting all the features you require or would prefer when you’re out fishing. Lowrance is one of the best Fish Finder. If you want a fishfinder with more features or less than this one just click one of the icons at the end of this review & shop around. DISPLAY: It has 1280 x 800 high-resolution, 7″ diagonal LED-backlit color display. CHIRP SONAR: It has Structure Scan HD and Down Scan Imaging. It provides the best possible view of everything below your boat. The TotalScan all-in-one transom mount transducer is included. TRACK BACK – Allows you to scroll back through your sonar, SideScan or DownScan history to review structure or fish targets. You’re also able to mark the location with a waypoint. CHART UPGRADES: It has Americas chart upgrades. It includes Lake Insight HD by C-MAP, C-MAP MAX-N, Navionics, HotMaps, & Fishing Hotspots PRO. 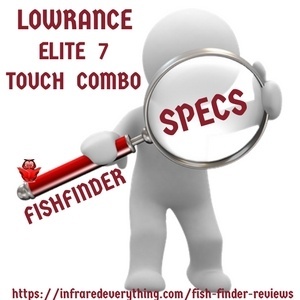 WHAT’S INCLUDED WHEN YOU BUY THE LAWRANCE ELITE 7 FISHFINDER GPS COMBO? Once again, I’ll list the top 3 things that people like & dislike about this Lowrance Fish Finder. If you still want to read over a few more reviews, I’ll put a link at the end of the, Negative Consumer Reviews. Every product on the market gets some negative reviews. It’s a good idea to read them over. There could be something you’d want included in the product you’re planning to buy. If you would like to read the actual reviews that numerous consumers have written on Amazon for the Lowrance Elite 7 click, Amazon Reviews. To find a Lowrance Fish Finders Sale, check all three links below. One of the companies might be having a sale. If this is out of your price range or you don’t need everything included, Lowrance has all sorts of models & prices. 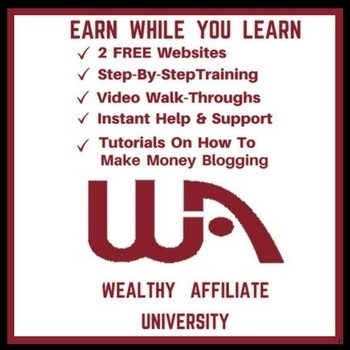 You’ll find them, when you click below. At the time of this writing, E-Bay was the cheapest. If you purchased or have the Humminbird 10 or Lowrance 7, that I just reviewed, please leave a comment below. Let us know which one you have & what you liked & didn’t like about it. It’ll help others to decide which fish finder would be best for them. If you watch the video on the Humminbird 10 DI, you’ll see how easy it is to use & how clear the picture is. 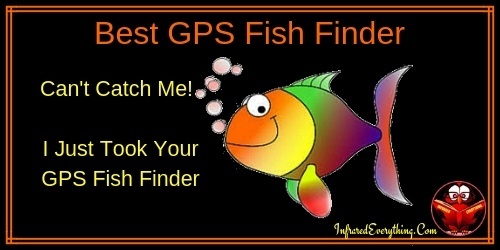 Watch the video & see it this fish finder is something that will be of benefit to you. Thank you for stopping by Infrared Everything & reading my article on, What Is The Best Fish Finder. I hope this makes your decision a little easier. 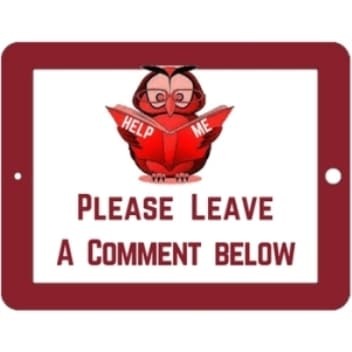 If you’d like to read over some of my other reviews, go to Products At Infrared Everything.